I have been seeing all of the reviews on myfarog on youtube and wordpress for quite some time now wondering what it was like and eventually buying it when I had the money. I recently did purchase myfarog and read it within a couple of days and I could not be any happier with it. My favorite thing about myfarog is the factthat it truly is an informational book on our culture and traditions. 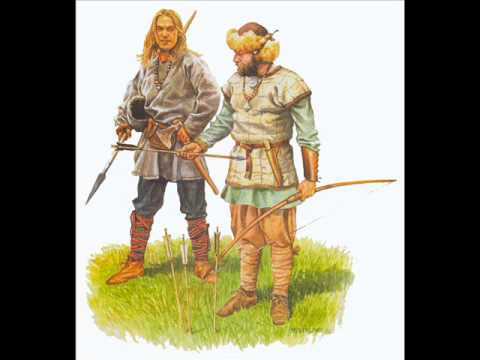 Varg gives us info on how our ancestors lived and you can ‘act out’ the way our ancestors lived by actively playing the game as well. Although I do not have anyone to play this game with, the information given in this book has given me nothing but joy and I am 100% satisfied with it. My favorite aspects of the book are the little grey boxes explaining things such as laws regarding outlaws, duties of the noblemen, our view on homosexuals, the positive view on eugenics, duels, battle formations,bodies of the fallen, all of the tribes,their symbols and corresponding deities, justice, shield maidens and all the names of the deities and their etymology. This book to me is gold, and when given the chance I would love to play it. For my future children this will be the tool (among others), to teach them the ways of our forebears. Like SRAS and the thulean perspective blog site, myfarog has enlightened and filled me with strength and joy. I would like to thank Varg Vikernes and Marie Cachet for all of the work they’ve done. Had it not been for them I would never have realized myself and full potential. Hail the gods! Hail Europe! Hail MYFAROG! Hail Varg and Marie! As a European I grow in my thoughts and in my views, as I naturally should. Mental growth as well as physical growth has been a number one goal of mine for as long as I can remember and still is. Enhancing my body and brain is one of my favorite things to do, but there comes a time when certain ‘teachings’ can be a bit too excessive. I have read many, and I mean many philosophy books, a large number of greek philosophy to be exact and some other “thinkers” writings as well. Being into physical fitness and having tried over 9-10 different diets (I prefer to call them eating techniques) I have amounted a large degree of “self discipline” through that. Not to mention of course slaying all of the dragons of the mind that we all have to face in order to become better in life. But I must say that when it comes to philosophy in general, and I mean extreme contemplation about what one ought to do and how one ought to live, as I have to come to understand, is very excessive and almost counter productive. If we take a look at greek or roman philosophy (the two most racially mixed parts of Europe at the time of ancient philosophy) we have 300 hundred pages or more of theory, talking and overly contemplating things that most of us true Europeans understand. Good and right behavior. It doesn’t take rocket science to understand what is noble (that is in terms of being European). Are these philosphers so confused as to how to act or how to live that they must read and write page upon page of examples and theories on how to do so? Again lets remember most philosophy comes from the most racially mixed parts of Europe. To overly think about such things could drive one absolutely mad! But I think to myself…is this a result of the mixing of species? Do they have to try THAT hard to understand discipline? Is the over-analyzation of ethics the result of “civilized” racially mixed Rome or Greece? Look at Greece and Ancient Rome at the time, slavery, homo sexuality, gluttony, etc. I am not knocking Italians or greeks by any means, pre civilized Greece and Italy is European just as much as any other part of europe. In these civilizations, there seems to be a need for philosophy, how one ought to be, because civilization seem to have produced decadence and civilization was and is the result of the mixing of the human species! And yet, they critique the “barbarian” for not living as they did. (Areas outside of Greece and Rome in Europe). I have tried to find ‘barbarian’ philosophy books and with the exception of the eddas and Germania, I have yet to find one. Why? Well I believe this is because they did not need to sit around and contemplate right behavior, or read book upon book to learn this. They simply were European. They lived according to their racial instincts. All cultures and customs have come from the specific racial mind or all stem from one. The point is that they inherently lived as they should. To be European is to be noble and right, because it is in us already to do so. We have to understand that in this day in age, we live in a “civilization” which is as decadent as they come. So I can see the need to learn discipline in our world because we are not living in our homogenous tribe and practicing our racial customs. The barbarian lived as he should, he lived they way nature intended him to do so, he did not have to think about noblility, good behavior or ethics, he simply was European. In many philosophies, there is an advocation that one should not ever get angry, or cry or deny things that may taste good even if it may be good for you. To basically deny yourself to a large degree is in my eyes over excessive and not at all necessary. I do not think greek or roman philosophy is bad per say, but I do think it can be too much thinking when a simple wise quote could suffice and change your whole outlook on something. Action is better than sitting around contemplating HOW to act. For the true Europeans who have come to understand who they are, they do need a 500 page book to understand how one ought to be. I personally think the thulean perspective will truly help one achieve..a thulean perspective. Some European food for thought.